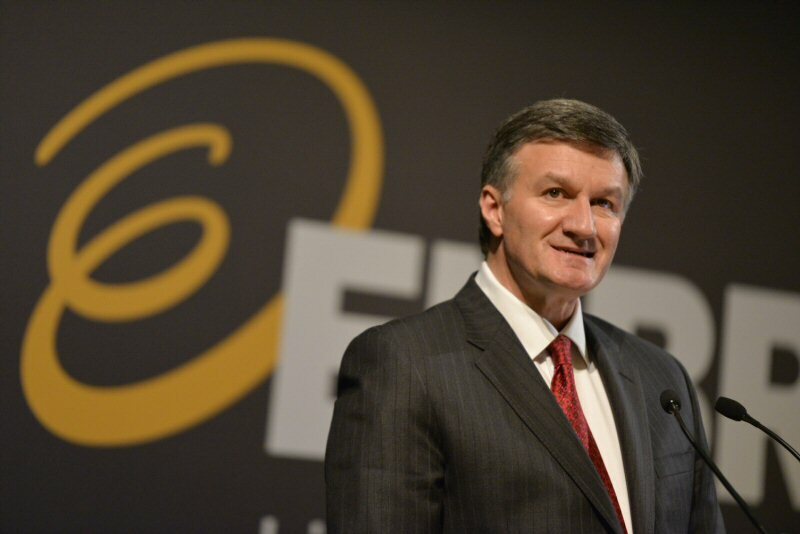 Canada and North America have a significant global advantage and tremendous opportunity with respect to energy, but face a challenge in building the connectivity needed to keep pace with energy development, Enbridge Inc. President and CEO Al Monaco told shareholders at the Company's annual general meeting held in Toronto today. Mr. Monaco spoke about what he sees as a critical issue facing the industry - an urgent need to connect resources to key markets. "Energy is an important driver of economic growth in Canada and North America, and we have a tremendous opportunity to lead in the safe, reliable and responsible delivery of the energy our world needs," said Mr. Monaco. "But what we're still lacking is the ability to connect this supply to markets in a timely and effective way, and that puts the opportunity and our global competitive advantage at risk." The North American pipeline grid is in transformation, but a challenging permitting and regulatory environment across North America is increasing costs across the industry and delaying access to needed markets, said Mr. Monaco. The root cause is threefold: legitimate concerns over climate change; high-profile incidents that have shaken public confidence in the system; and opposition to fossil fuel development. This has put greater pressure on regulators, and led to demands for more public input in the process, Mr. Monaco added. "Let me be clear, this is not a bad thing," he said. "It's in all of our interests to have a rigorous, expert regulatory review and oversight." Mr. Monaco said the industry is changing - and Enbridge is at the forefront. The Company is listening to and engaging communities and landowners earlier to make its projects better, and creating stronger relationships with Aboriginal communities while respecting their strong ties to the land and their natural environment. Enbridge shares concerns about climate change. While not a large emitter, the Company is reducing its own carbon footprint through industry-leading programs and investment in renewable and alternative energy. Mr. Monaco said more needs to be done to increase the dialogue on energy infrastructure development. He called on industry peers, business, government leaders and communities to be part of a conversation on realizing our global energy advantage. "The need for connectivity is not just Enbridge's issue, nor an energy industry issue. Gaps in our infrastructure will have long-term consequences for our economy and for all Canadians," Mr. Monaco said. "What we stand to gain is huge - energy security, massive economic development and social prosperity." Mr. Monaco's full address to shareholders can be found here. Enbridge Inc. (TSX:ENB) (NYSE:ENB) announced that the nominees listed in the management information circular dated March 3, 2015 were elected as directors of Enbridge Inc. The detailed results of the vote for the election of directors held at its Annual Meeting of Shareholders earlier today in Toronto are set out below.